A couple are rowing on a pebbled beach, their voices cutting the air. Storm clouds are gathering overhead and the low green waves grow rougher and wilder by the second. One half of the couple splits off and strides away. The other hesitates before stepping towards the car park, stopping as something catches their eye. 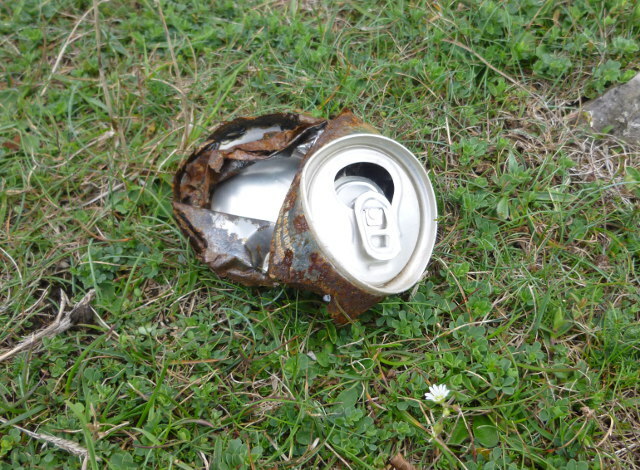 A crushed tin can, rusting to the colour of old blood, nestled in the grass at the edge of the shore. On some impulse they pick it up, put it in their pocket, then continue on their way.